This understatedly luxurious boutique hotel, named after Gwyneth Paltrow's character in The Royal Tenenbaums, will feel just like home. That is, if your home looks out on a full block of world-famous modernist buildings and all of your linens, furniture and bath products are locally sourced and sustainably designed. Every detail of your stay at the Margot house has been thoughtfully crafted with details and amentities such as the Brompton bicycles on loan, the personalized iPad for every guest, and automatic free Wi-Fi. The discrete exterior and light filled rooms will make for an intimate and elegant stay. 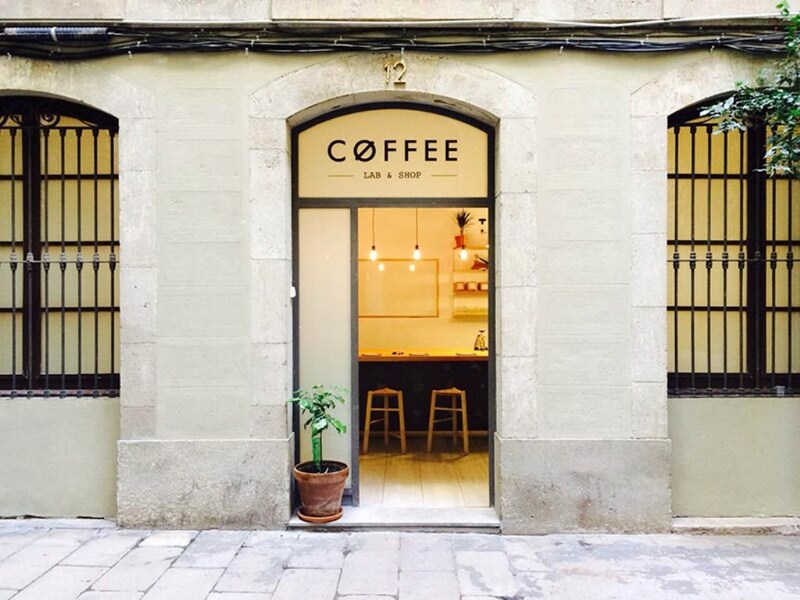 Nomad serves up arguably the best coffee in Barcelona. The lab, shop, and cafe is dedicated to experimental roasting in pursuit of dark, caffeinated perfection. They host weekly coffee cuppings, where you can taste the latest seasonal blends, trainings on methods and equipment, and workshops on how to up your coffee game. Our tip? Stop in for an quick yet impeccable cortado to start your day. SKYE serves locally-roasted artisan coffees from Right Side Coffee from a Citroen HY 1972 coffee truck. Parked in a huge open space away from the main haunts of Barcelona, stop in here to enjoy coffee, Hofmann croissants, jazz music, and take in the great atmosphere. This is no ordinary park, having been the result of a 1869 demolition of a military citadel and adapted to meet the needs for Barcelona's bid for the 1888 World Fair. 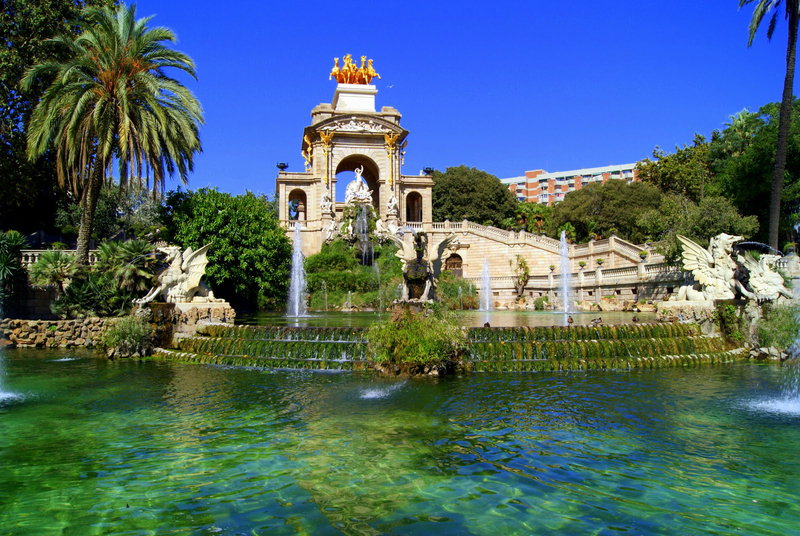 Relics of the exhibition can still be seen today in the Parc de la Ciutadella, with buildings such as the Castell dels Tres Dragons, which occupies the original restaurant designed for the exhibition by Domènech i Montaner, the waterfall and lake, designed by Fontseré, and the beautiful plant house, the Umbracle, and glass house, the Hivernacle. Rent a rowboat and take a spin around the lake! The best ice cream shop in town. Not just pistachio, tiramisu, and coconut but also pepper, basil, avocado, goat cheese and gorgonzola flavors. 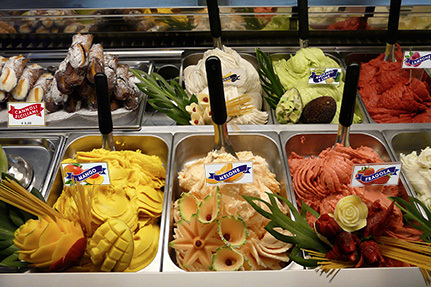 Also enjoy a selection of Italian ices and refreshing fresh fruit flavors. They even have vegan options. Wonderfully curated and large selection of crafts, ceramics and contemporary glass from all over Spain. Something for everyone; great for gifts and souvenirs. They’ll ship your purchases home for you. The first multi-space restaurant in Barcelona specializing in traditional Spanish dishes, El Nacional features beer, wine, oyster, and cocktail bars, along with four restaurants focused on seafood, tapas, and more. El Nacional is beautifully designed and located on the upscale Passeig de Gràcia. The food may not be much to write home about, but the atmosphere and design make this worth a visit. This is wine paradise. Or at least, according to the Wall Street Journal, the best wine bar in the world. With more than 2,500 bottles on the list, choosing can be overwhelming. Luckily, the combination of friendly, highly knowledgeable Monvinic sommeliers and the iPad-menu, you’ll be happily sipping in no time. To choose your wine, you can browse by region, grape variety and producer. Think of a wine and there’s a very high chance they have it. The best part (other than the wine)? You can get lost, browsing the towering floor-to-ceiling shelves of Monvinic collection. Sounds like the best possible place to get lost, to us. Opened by 3 former head chefs at elBulli (Ferran Adria's former best restaurant in the world), Disfrutar serves an incredibly entertaining tasting menu of 25 courses for 98 Euro and a shorter one for 70 Euro. The food is innovative, theatrical, delicious, and fun. Expect 3 hours of pure entertainment and delight. We'll be joined by Matt Goulding of Roads & Kingdoms.